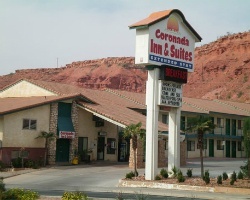 *Coronada Vacation Village* is located in the desert of southwestern Utah, a recreation lover's paradise. On site, guests will enjoy the indoor pool and hot tub. 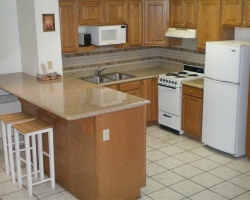 Nearby are numerous golf courses, water sports, tennis courts, shops, and restaurants. Casino gambling in Mesquite, Nevada, is 35 miles from the resort and skiing at Brian Head Resort is 60 miles away. Within two hours are Zion National Park, Bryce Canyon, and the North Rim of the Grand Canyon, each with innumerable opportunities for outdoor adventure. Enjoy staying close to golf courses, shops, restaurants and casinos! Floating week! Buyer may receive a title fee credit, inquire for details!